Click here for higher resolution images. This map is the 1st in a line of alien world maps being made at the moment. 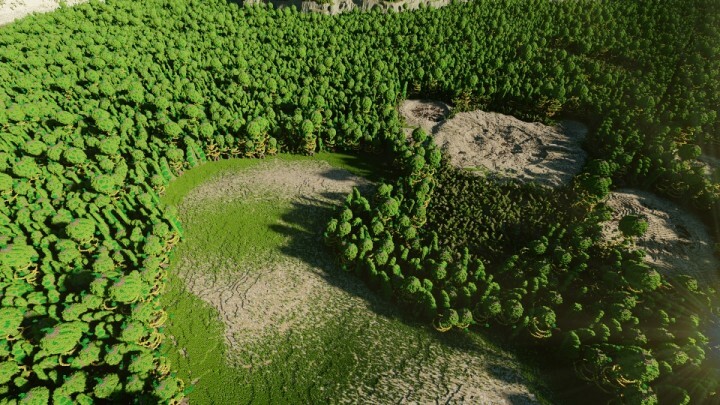 All are planned to be 10,112 x 10,112 and are designed to be on as realistic as Minecraft's height limit will allow on a geographical and geological scale (that means no 30 meter tall mountains). One of the main goals is to have all make sense scientifically to a large extent. 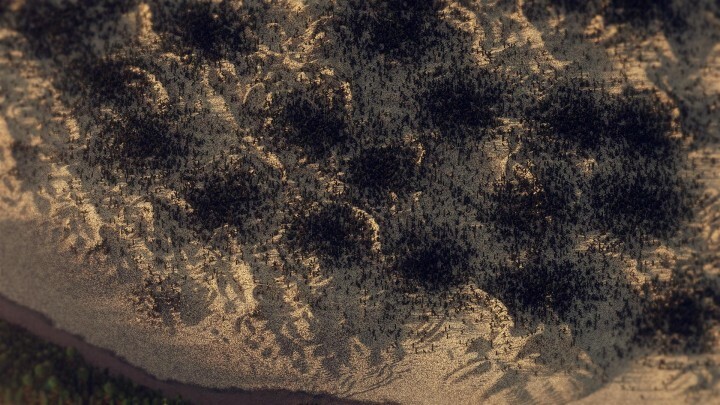 Any time you see some strange thing on these maps, there will always be some explanation as to how and why it's there. This could not have been done without the help of lotuswing and his custom tree design. This map is set on the the real planet Tau Ceti h. It was initially set on Tau Ceti c, however new data caused scientists to revise the model of the Tau Ceti system, resulting in the disproving of some planets and the discovery of new ones. The map itself is about 10Kx10K (10,112 x 10,112 to be exact) and goes from bedrock to the height limit. 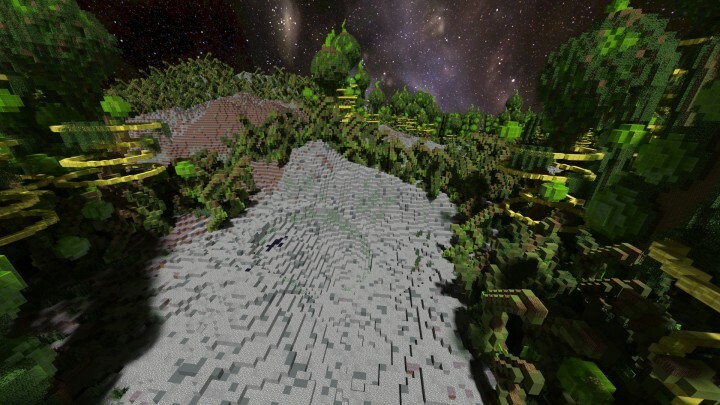 The terrain is filled with ores and is completely survival-ready. This world currently includes a constant jump boost effect intended to simulate lower gravity. More effects are planned (see Author Notes). Because the planet has a lower mass and therefore gravity (! ), the atmosphere is much thinner than Earth's and its magnetic field is much weaker as well. This paired with the fact that it lies closer to its star results in a large amount of heat and radiation reaching the planet, causing the surface to be too hot for water to remain in liquid form for very long. But life can find ways to exist even given extremely unlikely and inhospitable circumstances: Below the surface where it's much cooler, water is able to remain in a liquid state. This combined with the drastically reduced amount of radiation below the surface led to the opportunity for the genesis and evolution of chemosynthetic plantlife. This eventually led to photosynthetic plant species evolving to survive in caves closer to and eventually on the surface. The new exposure solar radiation caused massive amounts of mutations in species that made it to the surface, resulting in drastically increased growth speed. The result was a dense jungle of tall balloon-like plants that take advantage of the planet's lower gravity as well as absorb a wide spectrum of Tau Ceti's light for quicker growth. Tau Ceti h is the 2nd closest planet to the star Tau Ceti and is also the 2nd smallest in the system. The planet orbits inward of its star's habitable zone, leading to temperatures dangerously high for most complex forms of life on Earth. (!) This is where the data gets fudged a little bit: supposedly the planet's mass is around 3x greater than Earth's, however for the sake of...imagination?...the planet here has a mass lower than Earth's (so there would be a reason to give it a lower gravity effect). •Much of the plant-life here incorporates gold compounds into their biochemistries. The planet is also teeming with Lapis. Combining the two can create versatile and potentially powerful tools and combat gear. •Use the lower gravity to your advantage when navigating through forests. •We've detected small clusters of impact craters across the surface. There are sure to be extremely rare materials in the cores of the remains of the meteorites. •This planet has a very small satellite revolving around it. Despite its size, we've picked up some strange signals coming from it. If you somehow find a way to travel to it, proceed with caution. •We've also detected strange signals coming from the coordinates -3625, 1, -4005. They seem to be similar to those mentioned earlier. •There isn't enough oxygen on the planet to allow fire to burn, so you won't have to worry about spontaneous forest fires. •There appear to be two extensive layers of cave systems. There may be some useful resources in these that you won't be able to find on the surface. •There is no animal life on the surface. Your only source of food will be what you grow. We will provide you with some provisions but these will not last forever. •Water is scarce on the planet. Underground sources aren't large enough to matter so the only sources you have are the natural geysers. It is highly recommended that finding one be your highest priority upon reaching the surface. •It is STRONGLY recommended that you do not eat your potato or carrot. They are intended to be planted and harvested, as you will not be able to obtain any through other means once on the planet. •Meteorite impact craters each contain one hopper filled with five eye of enders. Altogether this makes nearly three stacks of eye of enders scattered across the map. •The 'moon' mentioned in the information document is the end. 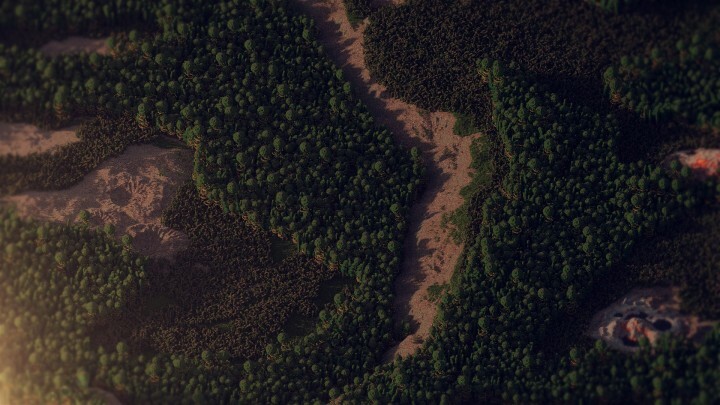 There is an end portal in the highlands in the north on which you can use eye of enders obtained from impact craters. 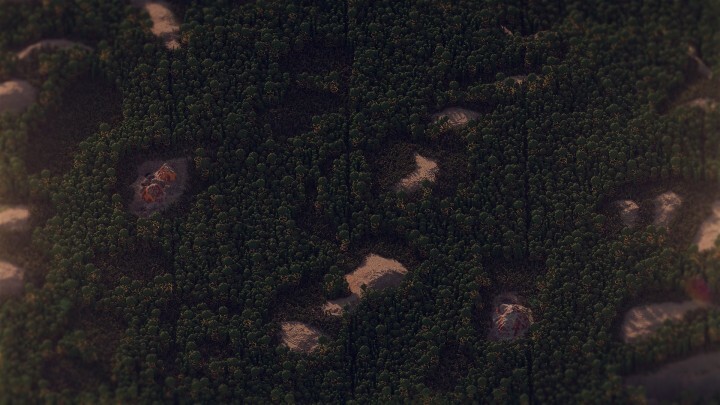 •Impact craters also have obsidian that can be used to make nether portals if you can get some flint from gravel which can only be found in deserts to the east and southwest or on certain cliffsides. 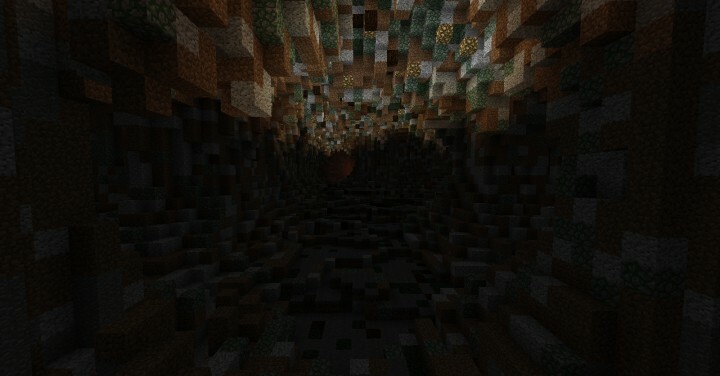 •Glowstone can be found in the lower cave system. •Diamonds are very rare. There are no emeralds or emerald ore on this map. 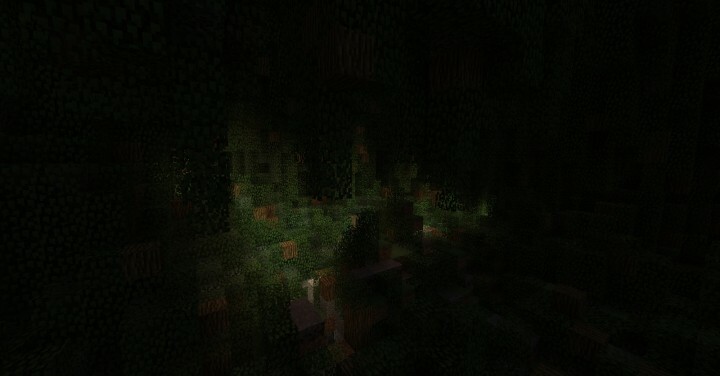 There is no gold ore (you should be able to find gold blocks circling many of the trees easily). •Lava pockets are extremely rare and water pockets do not exist. Nice! I assume you did the effects with command blocks... How? Also, what did you use "Chunky" for? This is amazing! Awesome work!! 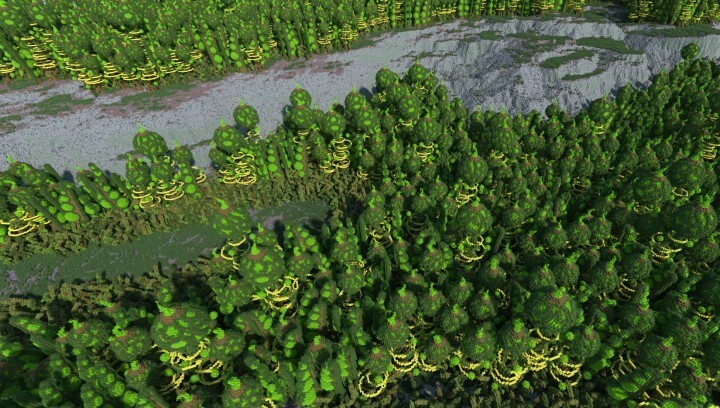 Are you looking forward to launch new alien worlds samples maps in your other project? Right now trying to finish up some of the full sized maps (Almost finished with one and nearing the final stages of another). I have concepts for a few that I've started asking certain people to help with. Once that starts the first thing I'll do is probably make the samples. Holy.... thats so cool you did a great job on it sweet!!! Did you guys see this somewhere or did you just happen to find it while searching? I've had a weird spike in diamonds subs and favs over the past few days and I haven't even posted anything new yet. 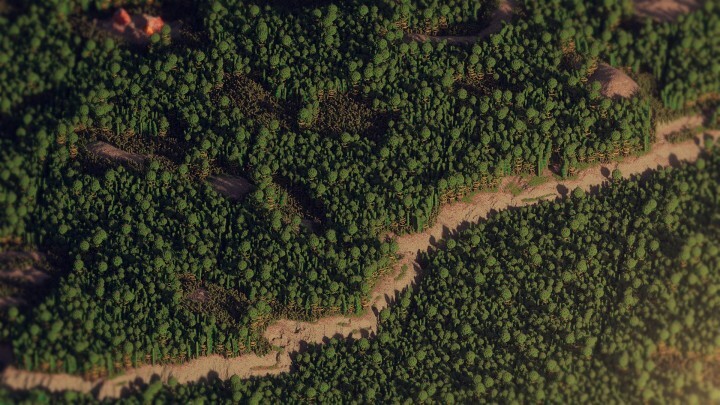 Wow what a beautiful map, took me 40 minutes to download but it was worth it! Great work. Can you give a coordinate list for the different locations? What in particular are you looking for? There aren't really any specific locations unless you mean things like crater sites and geysers. Most things are just large areas. The only standalone point of interest at the moment is the end portal at -3625, 1, -4005. Also sure to the idea of staying connected but none of us go on servers very much so I'm not sure when we'd be able to do that. Do you have a skype? indeed i do have skype, could you send yours in a private message prehaps? As a mapmaker, this map is extremly impressive. Not only is the detail and atmosphere amazing but suits the theme you are plating there. 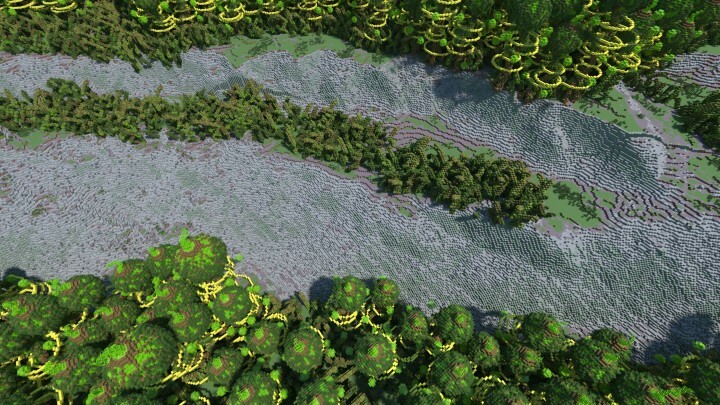 Furthermore the renders and dynmap shows how much effort you put into this map! You deserve a hundred diamonds! Awesome! And is the name a reference to Hyperion by Dan Simons? Yup! Tau Ceti B is an earth-like planet in constellation Cetus! Tau Ceti c is a real planet. nice! alien evironments are something i never tried before :D ill try playing on. Wow, I am sure you have put a lot of work into this. I will learn from you and create some maps based on your ideas and designs later on, and you can have the credits. This is absolutely amazing! 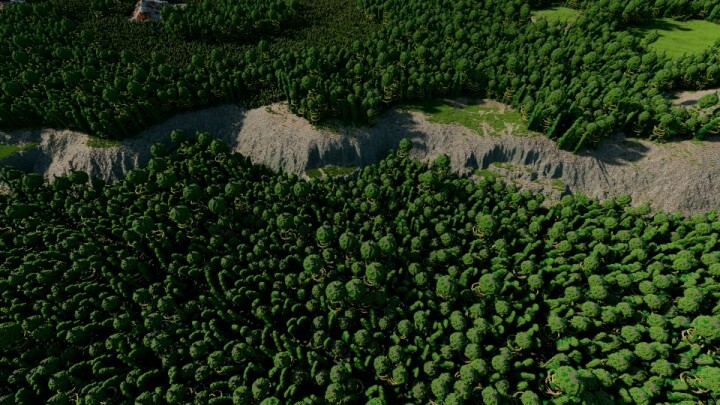 Looks like some of the best terraforming I have ever seen. I really like the life-like mechanics that you are going to include. Diamond+Sub, can't wait for the next one! I vote for Redvines, sorry for some reason it wouldn't let me sign into the forums. Diamond and sub 2 u m8! 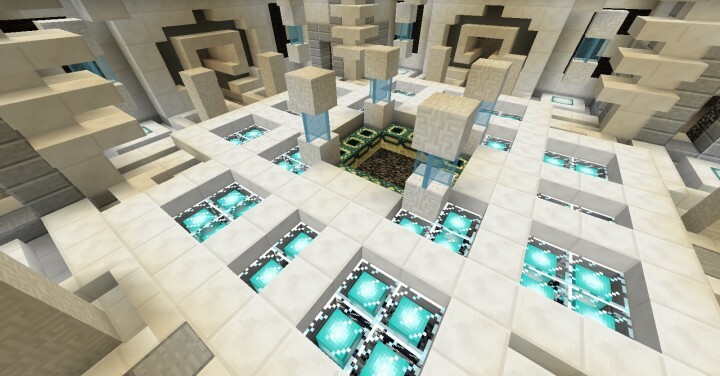 Awsome, sorta similar to what im making, but bigger and better! 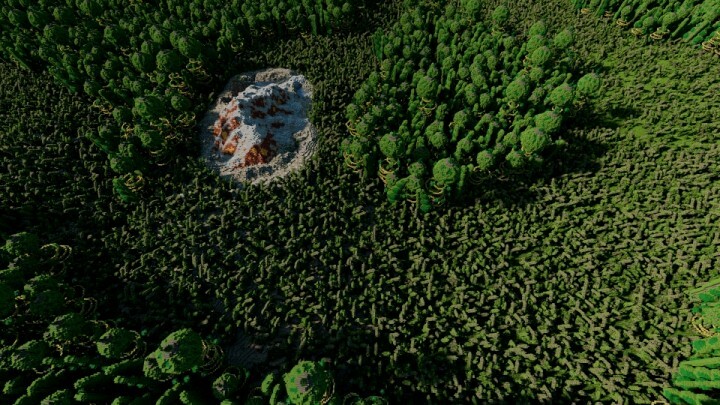 Also, whats the resource pack? just a custom sky? 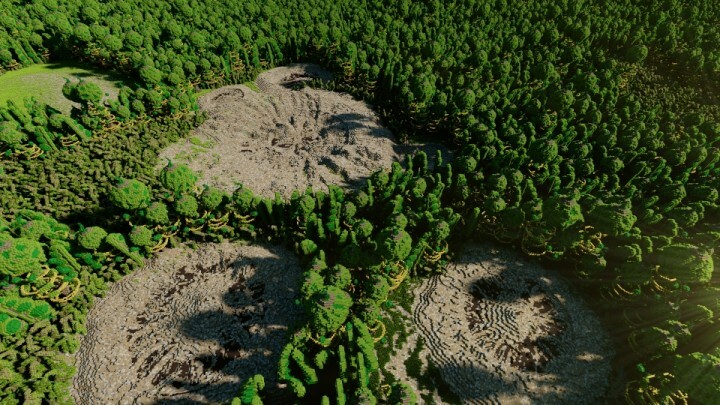 No resource packs or custom textures were used in this. 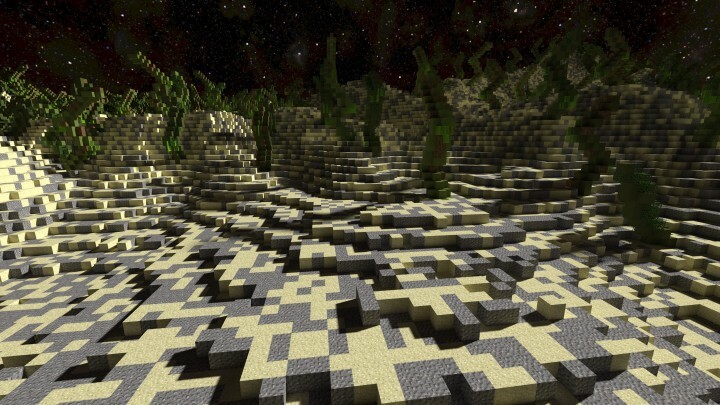 I think Jannekloeffler used a resource pack in the renders he did but you can't see the sky in those. If you're talking about the starry sky in some of the images, that's just a skymap I used when rendering them in Chunky. Really this was meant to be used with default textures. Ok that explains it! Still looks great! This looks really exciting. I am so happy to see people making RPG maps. 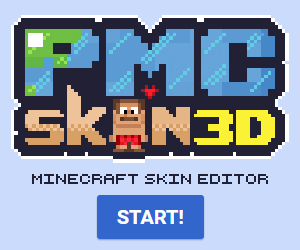 I'm guessing this isn't your first time on PMC did you create your account for this project set? Err...you realize making accounts for things like that is against the rules right? The only times you can make a second account are if you have permission from a mod to make a team account or if you're making a temp one to recover an account you lost information to. Awesome build! Which is even more awesome because of the survival mechanics! So far only the low gravity jump boost effect has been finished. Having a bit of trouble with the redstone that starts damaging any players who aren't wearing a full set of any armor. To make it multiplayer friendly though, you'll need to use a scoreboard objective. Here's a world download. It has a book and quill explaining the commands. Quite impressive. 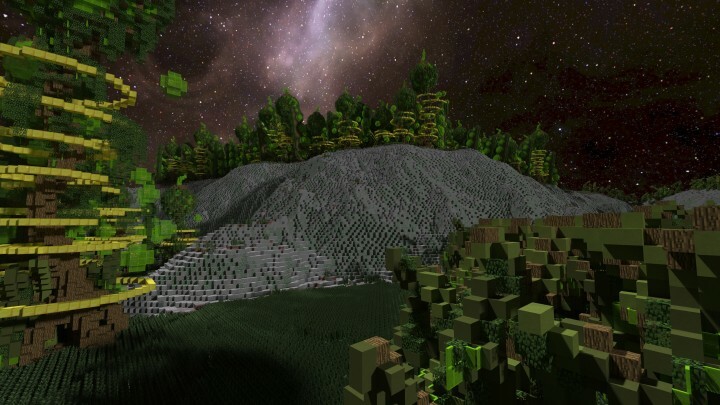 The description is made with care, which is rarely seen on terraforming builds. 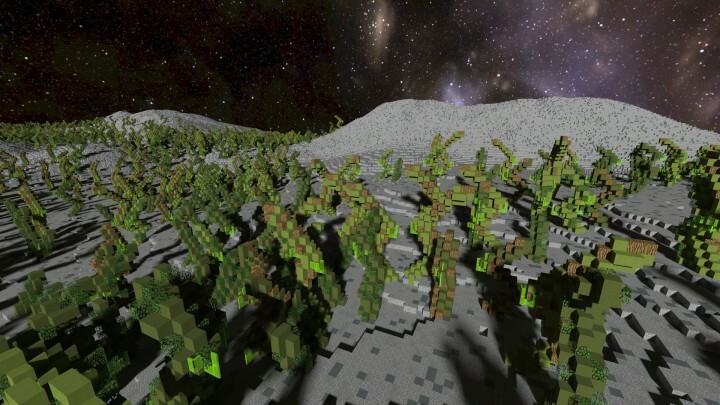 A Minecraft survival world set on a distant planet? Testing something atm. Most likely will change it back. do you have any tips for world building and design? I intend to do work like this for a colosal project foundation (50k blocks squared +or- a few thousand). Also I am totes gonna subscribe after seeing this. Thank your the advice, it is a good thing that I'm a planner, but this level of planning did not occur to me. Block pallets would refer to which blocks occur in certain area's, would that be correct? Where would you recomend to start if you were new to all of this? Sorry for the additional questions, it's just that you are the first player that has come close to the world sizes that I am envisioning, and it made sense to ask the person working at this scale about all this. Thank you for this, I'm already researching into world building. If you are into RP and adventure worlds, I've got a thread asking for what those that are likeminded want in such a world. Look into it, don't look into it, your choice because either way I am happy with your tips.